Vandal guards offer peace of mind, lower insurance costs, less ‘down-time’ and are recommended by leading machine manufacturers. These Van Storage boxes are an ideal solution to tidy up all the tools and accessories you take from site to site or job to job. They come complete with a secure padlock and sit comfortably in your van. 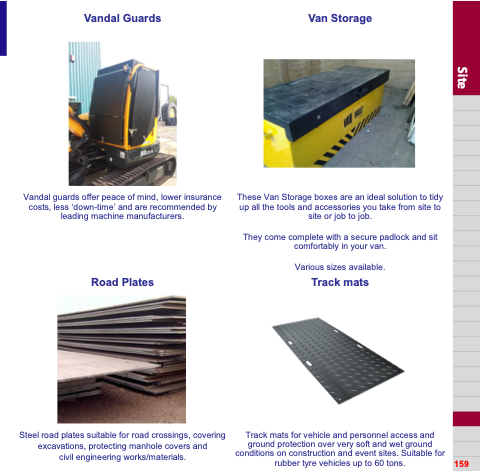 Track mats for vehicle and personnel access and ground protection over very soft and wet ground conditions on construction and event sites. Suitable for rubber tyre vehicles up to 60 tons.